Applicants with i) a strong background in functional MRI analyses (experience with functional connectivity analyses is preferred); ii) a solid foundation in machine learning techniques; iii) strong programming skills (preferably Python); are called to participate in an NSF-funded project on the fMRI correlates of individual differences in cognitive ability and personality. The position will involve analysis of large-sample databases, including behavioral data and fMRI data, to predict and possibly revise the constructs of personality and cognitive ability. The overarching aim is to develop a neuroscience-informed psychology that tracks the causal relations between the brain and behavior. 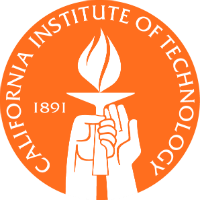 Search Chair, Postdoc in Neuroimaging & Machine Learning, Division of the Humanities and Social Sciences, Caltech 228-77, Pasadena, CA 91125.